Banner Select Raglan Crew Neck Sweatshirt Bottle Green Age 3/4 up to Size XXL. 11 colours available. Ribbed welt and cuffs, soft but durable, 65% cotton / 35% polyester. 320 - 340 gsm. Banner Select Raglan Crew Neck Sweatshirt Age 3/4 up to Size XXL. 11 Colours. Banner Select Sweat Cardigan Age 2 up to Size XXL. 11 Colours. 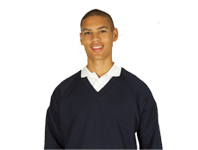 Banner Select V-Neck Sweatshirt Age 3/4 up to Size XXL. 9 Colours.